IS IT REALLY 20 YEARS ? In July 1997, almost 20 years ago to the day, I was on holiday in Dublin. Wim Jansen had just taken over from Tommy Burns and it has to be said that Celtic were on the back foot with only Darren Jackson yet being announced as a confirmed new signing for the forthcoming season. A cloud of disappointment hung over Parkhead. The much loved Burns had only recently been sacked, the equally respected captain, Paul McStay, had had to retire due to injury and it seemed inevitable that Rangers would smash Celtic’s nine in a row record by reaching their own 10th consecutive title. Rangers, for their part, were fairly splashing the cash with the Serie A trio of Marco Negri, Sergio Porrini and Lorenzo Amoruso all arriving at Ibrox for huge sums of money, to be joined by Stale Stensaas, Jonas Thern and Jonatan Johansson. The Scottish media gleefully informed us that the Rangers’ squad was now so strong that they could actually field three different teams in European, league, and domestic cup competition. Ludicrous as it seems now, the media also told us that Nike would assist Rangers for a bid for Ronaldo (the Brazilian version) but despite the obligatory ‘war-chest’ being made available and the mandatory private jet on the runway at Glasgow airport, nothing came of that one. 1997 may not seem like long time ago to some but this was very much the pre-internet and pre-social media days. You couldn’t just log into your phone and find out the latest football news. Teletext still existed on televisions for that purpose and each football club had ‘Clubcall’ where fans were required to call an extortionate telephone line to hear the latest rumours of prospective new signings. 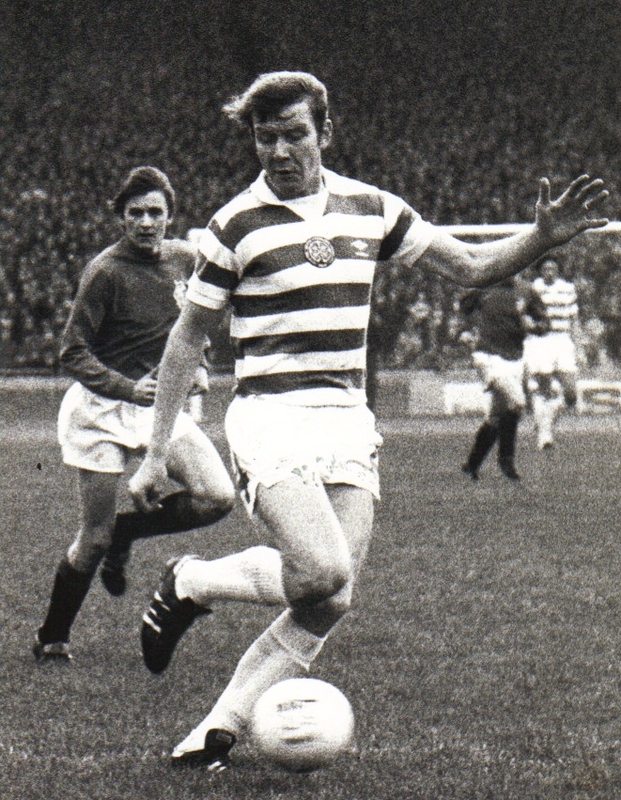 ‘Craig Burley’ – well that was a start, he looked a decent player at Chelsea and we need midfielders. ‘Stephane Mahe’ – he was with PSG who were a very strong side at the time so he would hopefully be a good acquisition. ‘Henrik Larsson’ – the wee guy with dreadlocks from the Sweden team in the 1994 World Cup? Aw naw, we have enough lightweights in the side at the minute without adding any more. 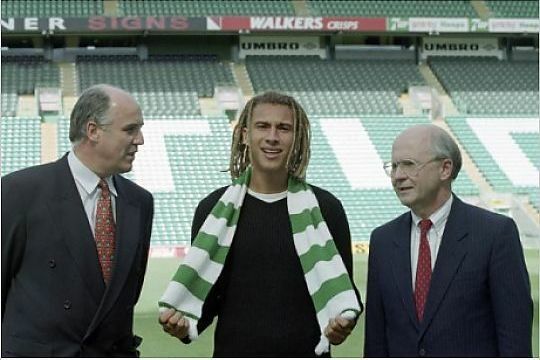 Hard is may be to believe but I was totally underwhelmed by the Larsson signing, which it transpires only came about as Wim Jansen knew he was unsettled at Feyenoord and that there was a clause in his contract which allowed Celtic to pick him up for the astonishingly low fee of £650,000. He did not stand out as anything special and the general emotion of his signing was all rather underwhelming. 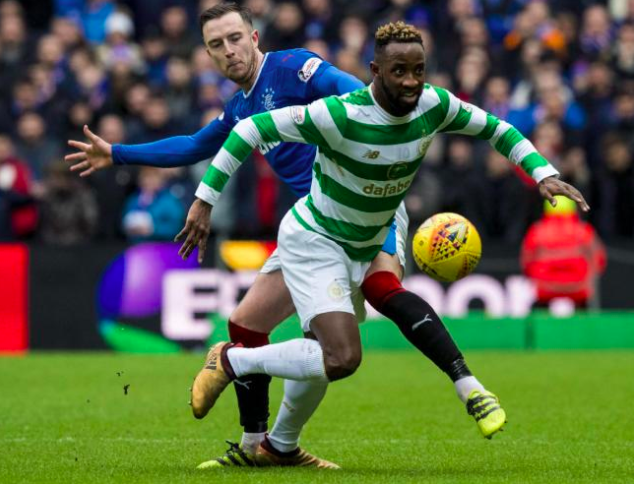 In a recent CU podcast, I remarked to Lachie Mor that Scott Sinclair’s contribution to Celtic last season reminded me of Henrik’s in his first season. Now Sinclair is a fine player and I would definitely stop short of comparing his talent to Henrik’s, but what I meant was that there was no way we could have appreciated at that time that Henrik would mature into the superstar player that he became in later years. Yes, he made a major contribution in 97/98, but arguably Craig Burley and Marc Rieper were equally as influential during that campaign. Also, Henrik wasn’t played as an out and out striker and it was only when Jo Venglos arrived a year later that Larsson was deployed further upfield as the spearhead in the attack. I cannot let this article pass without comment on the other side of the city. 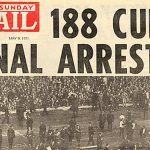 Twenty years ago Fergus McCann was ridiculed by sections of the press. He was too parsimonious; he should spend more money on new players; he made press announcements fairly and did not court favourites amongst the Scots’ press corps (how very dare he!). 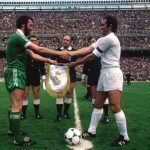 What Fergus McCann brought to Celtic was decency, respectability and dignity (a much misused word these days), three attributes that are in very limited supply in certain areas of Scottish football in 2017. But I digress. 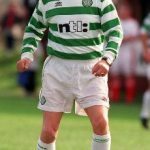 Back in late July 1997 a Swede arrived with a modest reputation and he would give Celtic, and its supporters, the most wonderful seven seasons they could have imagined. Can that really have been 20 years ago…? KIERAN Tierney is such a huge player for Celtic, the main man really, so I understand that they will be desperate to get him onto the pitch whenever they can. FAIR play to Mikael Lustig, who has fought his way back into the Celtic reckoning since Neil Lennon’s arrival to make the right-back spot his own. 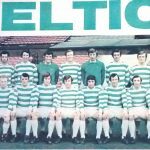 CELTIC are on course for another historic treble, and in terms of how the trophy cabinet is on course to be stocked at the end of the season, everything is rosy. But there is no doubt there are growing murmurings of discontent among the supporters. WHEN Neil Lennon was a player at Celtic under both Martin O’Neill and Gordon Strachan he always had team mates who would strike fear into defences whenever the Parkhead club won a free-kick near the opposition area or were awarded a corner. NEIL Lennon has admitted he has no regrets about letting rip at his Celtic players for the first time since taking over as interim manager and is hoping his half-time dressing down produces a stark improvement in their remaining matches. CELTIC target Bahlul Mustafazade admits he would "jump" at a move to Parkhead after being spotted by Hoops scouts. CELTIC don’t seem to be in any great rush to wrap up this eighth league title in a row.